1 kg. gold bars are seen on a production line in Ahlatci Metal Refinery in the central Anatolian city of Corum, Turkey, May 11, 2017. Gold prices climbed 1 percent to their highest in almost a year on Monday after North Korea’s latest and most powerful nuclear test drove investors towards safe-haven assets. Spot gold had risen just over 1 percent to $1,338.36 per ounce by 0708 GMT, after earlier touching its strongest level since late September at $1,339.47. U.S. gold futures for December delivery were up 1 percent at $1,344 an ounce. “Gold has rallied following further escalation in geopolitical tensions around North Korea,” said Jameel Ahmad, vice president of Market Research at FXTM. “This looks like safe-haven buying from traders. These tensions do not look like they are going anywhere, and are likely to encourage investors to hold on to their gold positions,” Ahmad said. North Korea on Sunday conducted its sixth nuclear test, of what it said was an advanced hydrogen bomb, prompting the threat of a “massive” military response from the United States if it or its allies were threatened. Adding to tensions, Russia on Sunday denounced the closure of three Russian diplomatic facilities in the United States as a “blatantly hostile act” that violated international law and demanded Washington reverse the order. 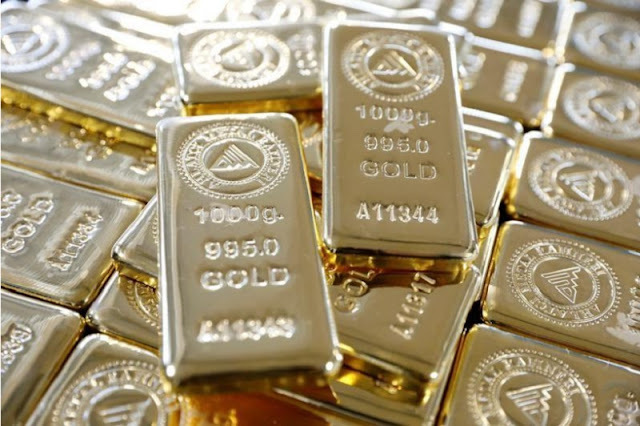 “Another plus for gold is that we don’t see an immediate rate hike and the shrinkage of the Federal Reserve’s balance sheet,” said Mark To, head of research at Hong Kong’s Wing Fung Financial Group. Silver rose 1 percent to $17.85 an ounce, earlier touching its highest since late April at $17.90 an ounce. Platinum gained 0.7 percent to $1,011.50. It had previously marked its best since early March at $1,014.70. Palladium added 0.9 percent to $988.90, after earlier reaching its highest since February 2001 at $1,001.